On December 9, 2009, Leadership Formation hosted the first-ever Executive Forum on Organizational Success & Excellence. During the course fo this ground-breaking forum, senior representatives from organizations of all types learned more about leadership, governance, execution, and strategy. World-class speakers from abroad and right here in Jordan shared the benefit of their experience. They assisted delegates in beginning to consider how these key topics may impact their organization. The delegates to the forum included those working in large and small companies, NGOs and governmental ministries, educational institutions and every type of organization found in Jordan. It was an excellent cross-section and provided a glimpse into how both for-profits and non-profits may apply the same principles to achieve organizational success. 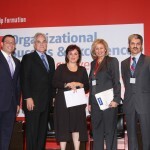 It also provided an opportunity for executives in organizations to gain professional development. While significant emphasis has been placed on training lower and mid-level employees, much less is placed on the upper echelons of organizations. 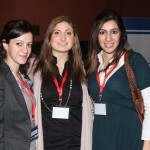 The Forum brought together those in the know in organizations around Amman to share and learn. These individuals were committed to enhancing their professionalism and the forum gave them such an opportunity.